The apartment was absolutely lovely the front desk lady was very polite and helpful. It was clean. if you have a car the location is absolutely lovely since the center of the city is quite busy and rushed so it was lovely to be in a very short car drive without having to be there at all times struggling for parking and such. The apartment is very nice and cosy. The sofa in the living room transforms into a bed and is very comfy. Also, the kitchen is very well equipped and has everything required for cooking. The SPA, although not very big, it has everything needed to relax. For me, the temperature in the swimming pool was a little bit low, but in the jacuzzis and in the saunas everything was perfect. Also, what I appreciated was that, unlike most of the SPAs in Spain, in here there is no time limit that you can stay in the SPA. Very easy to collect the keys. Great to have secure underground parking. Location excellent for getting to the port the next morning and close to the Carrefour for buying food supplies and Christmas presents. Free entry to the spa, although we were not there long enough to take advantage. Would definitely stay again. The apartment is very spacious and clean. Also the nursery / childrens area is great. The nanny service is excellent. And the spa was perfect!!! Clean and spacious. The washing machine was a bonus. Very friendly and helpful staff was very clean gave us loads of towels free access to the both pools gym and spa was really lovely great for kids was 10 mins from Santander. Free safe underground parking. My son lost his phone and it was left into complex. Train station Airport and Ferry all right there easy to get to. Lock in a great price for Apartamentos Alday – rated 8.5 by recent guests! 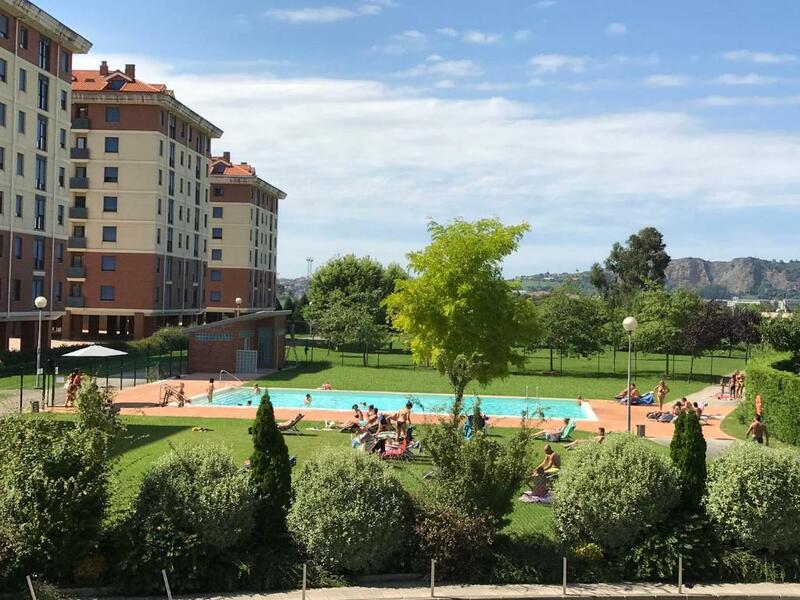 Featuring a complete wellness center, with sauna, gym and indoor pool, Apartamentos Alday is located just 1.2 mi from Santander Airport. Free parking on site is available. 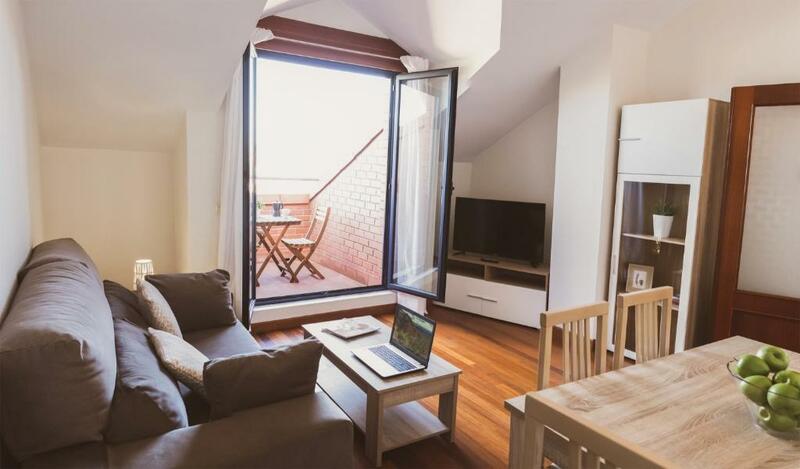 The heated apartments come with a flat-screen TV and a fully equipped kitchen, including a microwave and washing machine. Guests have access to a fitness center and a spa. 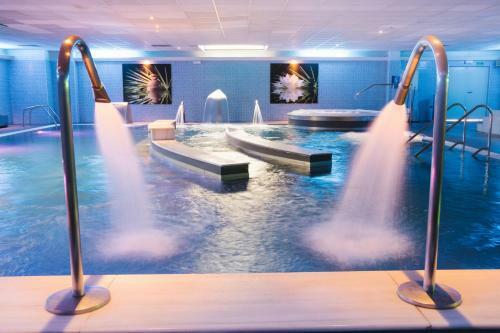 The spa area also offers other relaxing services such as hot tub and massages, with a surcharge. For the children, there is a kids’ club with swimming pool and other activities. A bar and a restaurant are available within the property. There are also 3 paddle courts available for a surcharge. Guests can rent paddle material at the property. 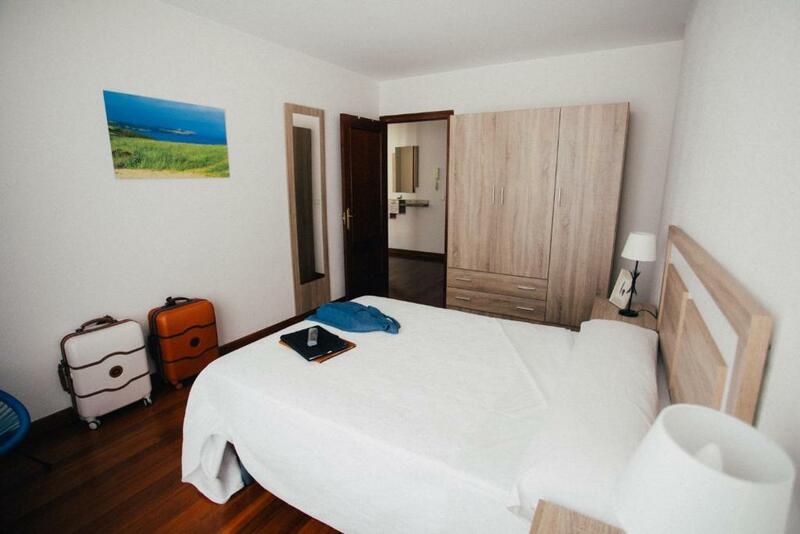 Santander is 3.7 mi from Apartamentos Alday, while El Sardinero Beach is 5.6 mi away. Cabárceno Wildlife Park is at a 20 minutes’ drive, from where you can also visit Macizo de Peña Cabarga Natural Park. 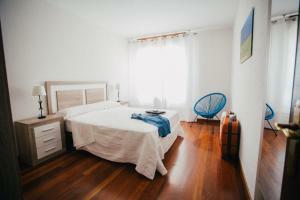 This property also has one of the top-rated locations in Maliaño! Guests are happier about it compared to other properties in the area. 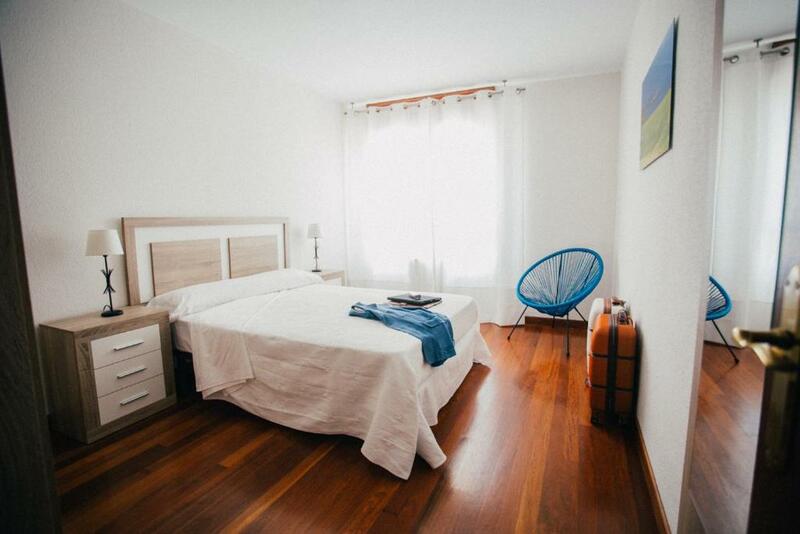 This property is also rated for the best value in Maliaño! Guests are getting more for their money when compared to other properties in this city. When would you like to stay at Apartamentos Alday? 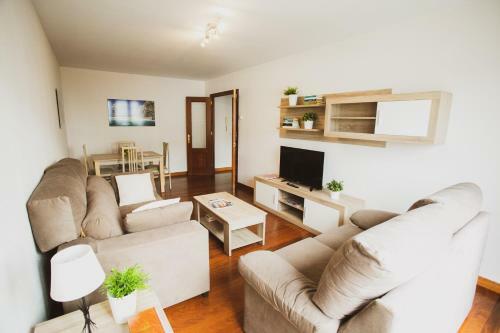 This heated 1-bedroom apartment has 1 double bed, a sofa and a flat-screen TV. 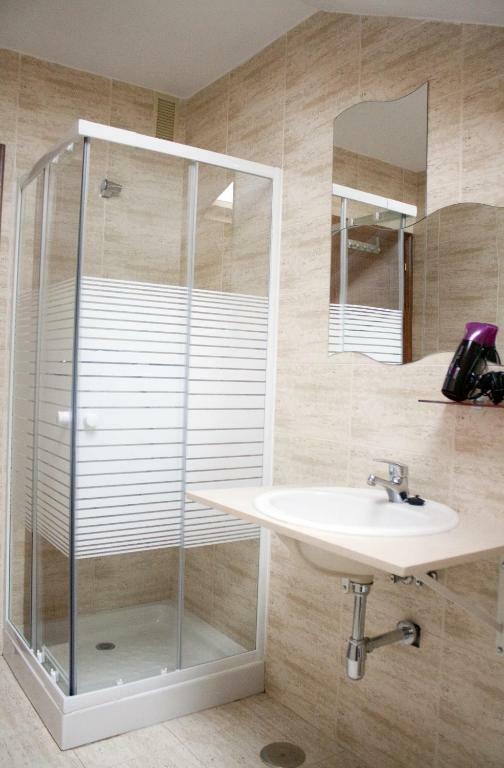 The kitchen is equipped with dishwasher, microwave and washing machine, while the bathroom includes a hairdryer. This apartment includes one free access per person, per day to the on-site fitness center and spa. 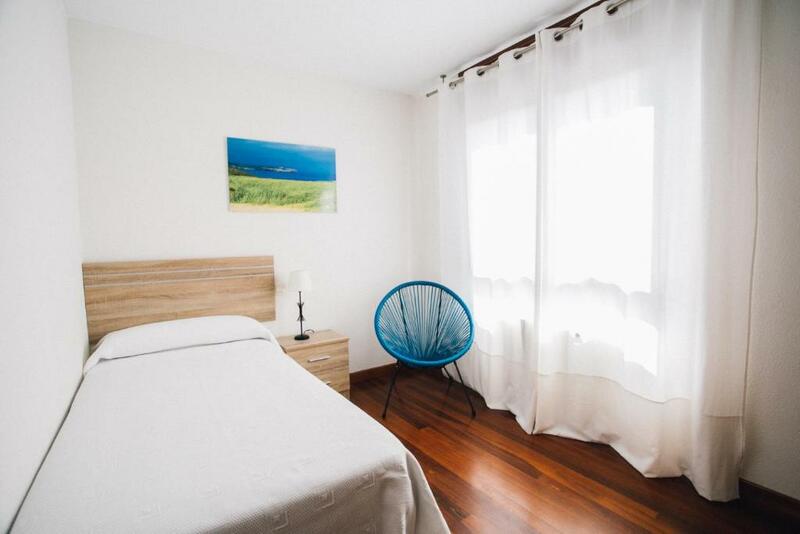 This heated 2-bedroom apartment comes with 1 double bed, 1 single bed and 1 sofa bed. A flat-screen TV and a sofa are also available. The kitchen is equipped with s microwave and washing machine. This heated 2-bedroom apartment comes with 1 double bed, 1 single bed and 1 sofa bed. A flat-screen TV and a sofa are also available. The kitchen is equipped with a microwave and washing machine. En pocos lugares podrás disfrutar libremente de un verdadero Centro Wellness de 3000 m2. Somos una empresa con ganas de hacer las cosas bien y que nuestros clientes disfruten y repitan. En nuestro barrio hay grandes almacenes y centros comerciales y estamos en un sitio estratégico para moverte por la región de Cantabria. House Rules Apartamentos Alday takes special requests – add in the next step! A EUR30 damage deposit is required on arrival (around USD33.73). This deposit will be fully refunded 7 days after check-out, as long as there isn't any damage to the property. Apartamentos Alday accepts these cards and reserves the right to temporarily hold an amount prior to arrival. Please note that the seasonal outdoor pool is open from 01 July until 15 September. Please note that on 25 December, 1 and 6 January, the pool, reception and wellness center will remain closed. A damage deposit of EUR 30 is required on arrival. That's about 33.73USD. This will be collected by credit card. You should be reimbursed within 7 days of check-out. Your deposit will be refunded in full by credit card, subject to an inspection of the property. I believe the checkout time should be a bit later it felt reallu rushed our morning trying to be at 11 am exactly giving back the keys Maybe consider giving some hand soap since is a very basic and necessary and people will assume is given. The hotel is not providing any shampoo or soap. Also, in the kitchen, there is not even a sponge or a detergent with which to wash the dishes. However, you are being told that if you do not wash the dishes at check-out you will be charged an extra tax. I believe providing a sponge and a detergent, is a nice gesture from the hotel's part, which does not cost much, and does not oblige the clients to go to the nearest supermarket to purchase detergent, soaps, shampoo, soaps, especially in the case of the very short 1 weekend stays. The hotel is a little bit far from the city and the nearby region does not look very appealing. It would be nice if the trash was picked up instead of having to throw it out ourselves. Some welcome tea and coffee supplies would have been appreciated as it was a bit of a walk to the shops.